Discover Northern Patagonia under your own steam. On this trip, you’ll explore epic landscapes. Find out what life is like for the ‘paisanos’ who settled here. 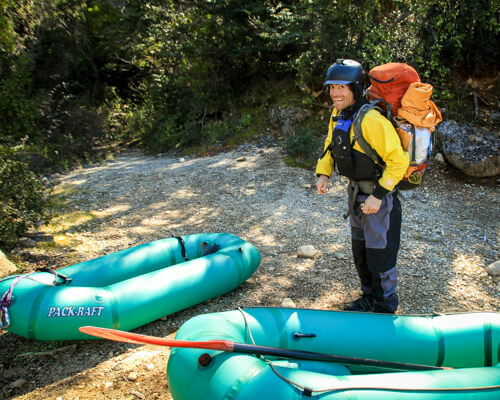 Paddle the Rio Puelo—a hidden gem of a river—in your own packraft. 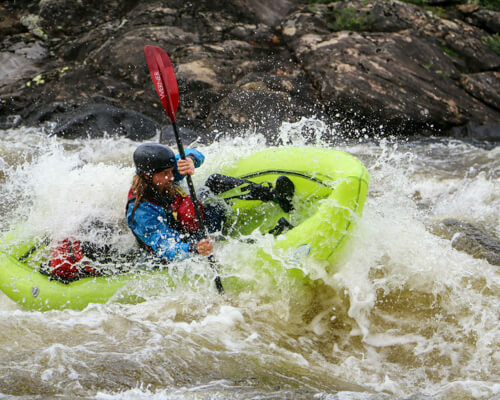 You don’t need whitewater experience. Just be physically fit and have a taste for adventure (a taste for red wine won’t do you wrong either ☺). 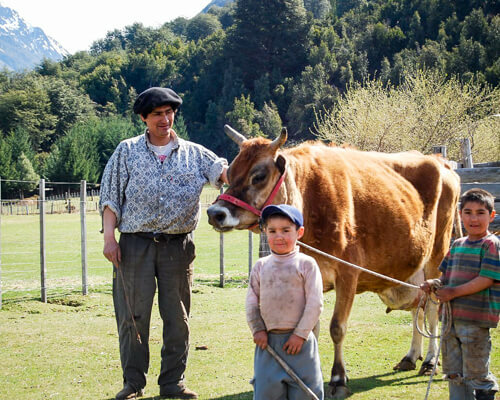 Speak Spanish with a thick Patagonian drawl. (No—that’s a joke—but you will experience the culture up close.) Share meals and laughs with friendly locals: on a couple of days, we’ll pull off the river, set-up camp on their land, and be welcomed into their homes for an asado (traditional barbecue)! 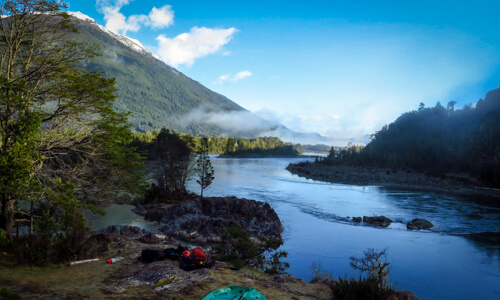 Read about your local guide team and our Patagonia partners. You’ll start and end in Bariloche. We don’t need to tell you about the Argentine flare for ‘the good things in life’, but on this trip, you’ll get a taste of both worlds, with true adventure as well. Paddle up to what must be one of the most charming border crossings anywhere. With no line-ups at this hut, you’ll stamp your passport and jump back into your boat, bobbing through waves into Chile, on a remote river in the Andes. Nope—this isn’t a dream. Welcome to Patagonia. 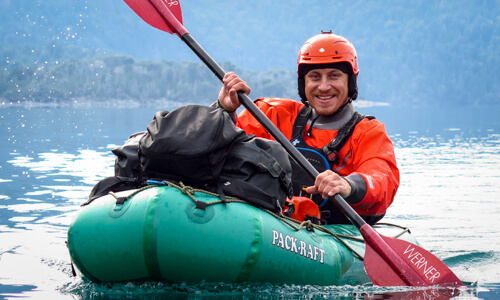 Why explore Patagonia by packraft? Your professional local guides love to share their land, rivers, and culture. But extra special on this trip: we’re hosted by ‘paisanos’ on our way downstream. Regardless of your experience, you’ll gain new skills. Want to learn how to cook on a fire? Surf a wave in your packraft? Done and done. Learn how to not just survive, but thrive in the backcountry. You won’t have to sort out logistics or specialized gear. Let us plan the details (we’re obsessed with details) so you can focus on the task at hand: recharge on an unforgettable travel experience. A huge thank you to Danny and his team of awesome guides for helping us to create memories that will last a lifetime.